As a mutating virus threatens to wipe out the remainder of humanity in 2035, prisoner James Cole agrees to travel back in time to 1996, the year the outbreak began, to discover its source and return to the future with a pure virus sample scientists can use to create a cure. Instead of arriving in 1996 as the scientists planned, Cole arrives in 1990. Event after event then catapults him ever closer to the truth as he travels from the future to the past, the past to the future and back again. 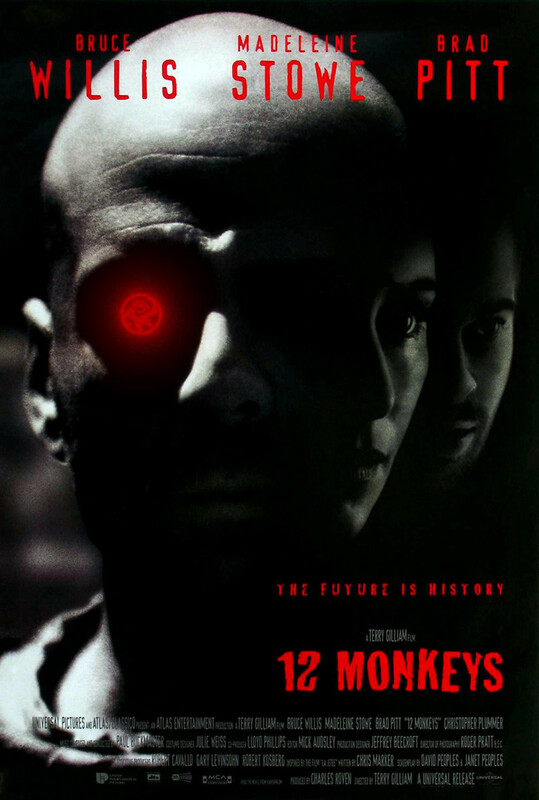 The Army of the Twelve Monkeys, and its crazy leader Jeffrey Goines, seem to hold all the answers. Yet, Cole's dreams suggest there is another plan at work beyond any one person's control.